We are kicking off the work week with cool and crisp weather conditions. 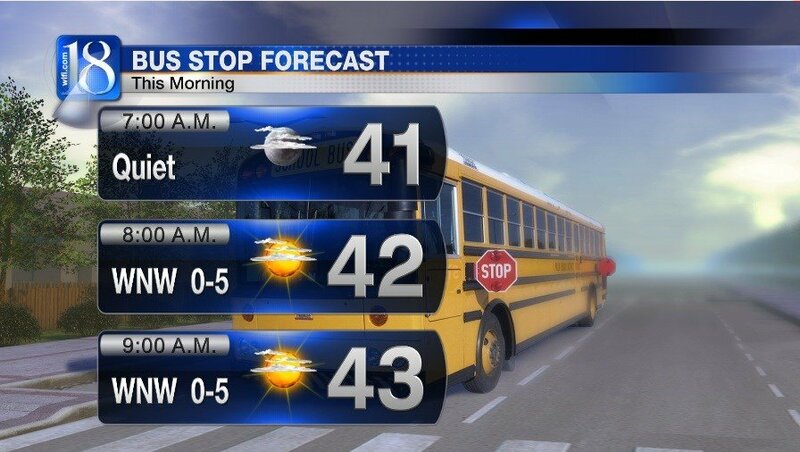 Kids will want to have a coat at the bus stop this morning! Temperatures have dropped into the upper 30s and lower 40s. Skies will become mostly clear through the morning commute. We are tracking a high pressure system, which will bring the area several dry days in the forecast. 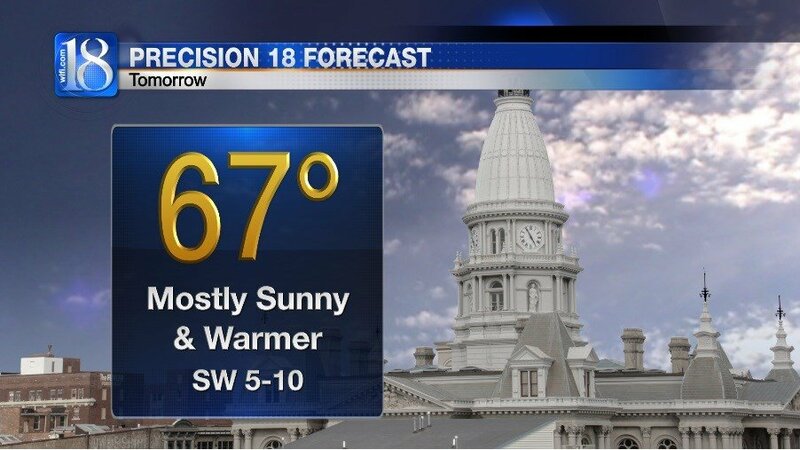 Highs this afternoon will climb into the lower 60s, which is a few degrees shy of Lafayette’s average high of 65°. The wind will shift out of the southwest this evening and the clear skies will allow temperatures to quickly fall. 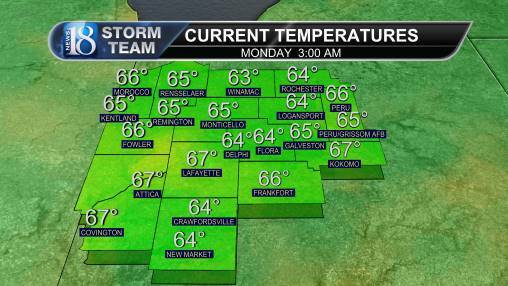 Greater Lafayette will drop back into the upper 40s around 11 p.m. EDT. 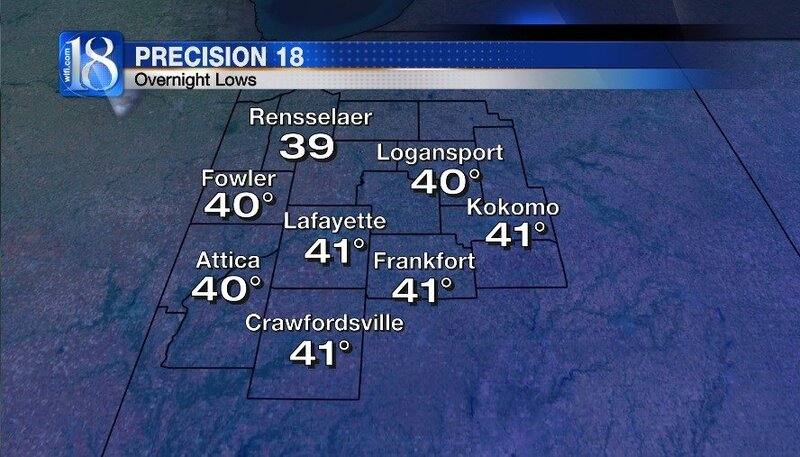 Overnight lows will drop into the upper 30s and lower 40s. The chilly temperatures and clear skies may create very patchy frost in isolated locations. If you have sensitive vegetation outside, you may want to bring them in tonight. 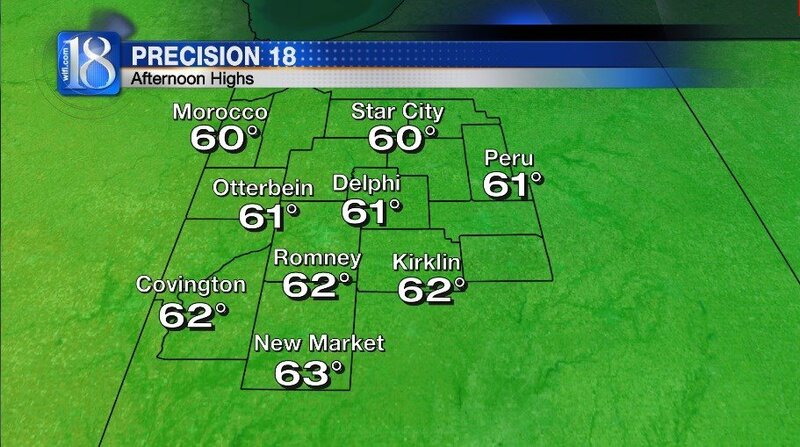 Sunshine will return tomorrow with afternoon highs in the mid to upper 60s. 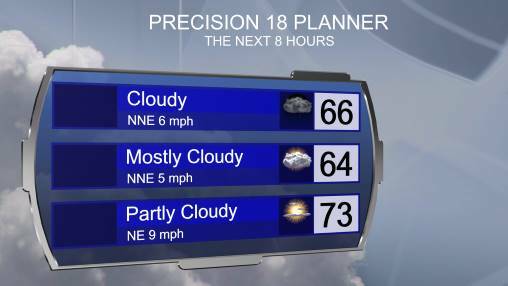 Temperatures will be slightly warmer due to southerly winds. 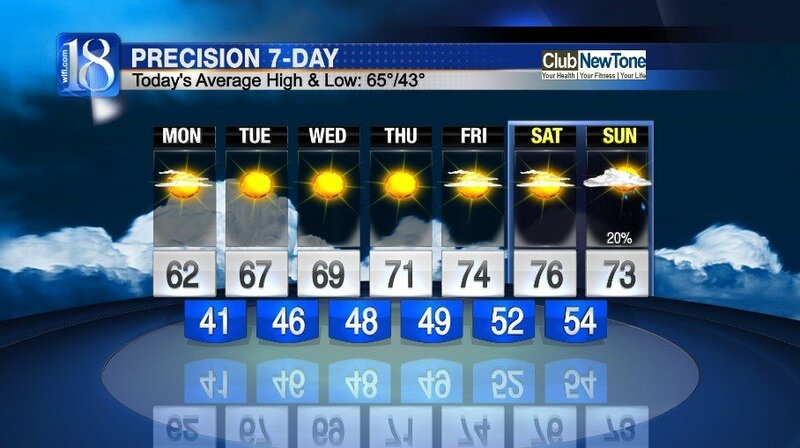 High pressure will dominate the forecast for the next several days. Greater Lafayette will remain dry this work week and for several hours this weekend. Temperatures will also gradually rise this week with highs in the 70s returning by Saturday. Our next chance for rain arrives Sunday night.